When planning a bathroom makeover, we can often overlook the shower door. We tend to focus much more on the bath, the shower head and what sort of taps we would like. In this article we take a look at different shower doors – including the popular 8mm shower glass panels – and the designs and styles that will best suit your bathroom. If space is a premium, our advice is to choose bypass – otherwise known as sliding – doors. These doors take up the least amount of space so are the perfect choice for a more intimate space. 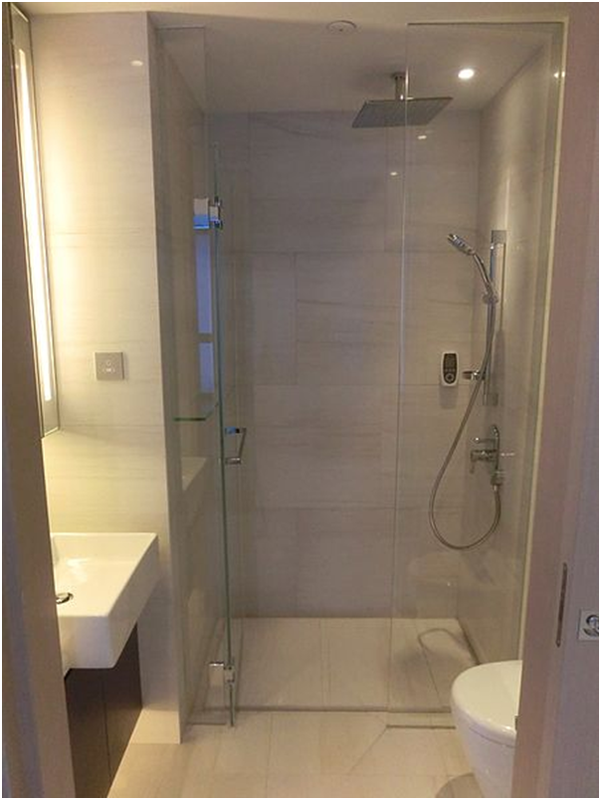 They are each made up of two or sometimes three panels that slide along on top and bottom tracks and are widely used in 8mm shower glass panels in standalone corner showers. Again, if space is an issue, a good choice is a pivot door – also called swing doors, they open outwards from a single side. They are a popular choice if the space is too small for sliding doors. Depending on the layout of your bathroom, pivot doors can be mounted to swing both in and out. If you like a larger space to enjoy your shower, round doors make the perfect choice. They open inwards and are a popular choice for standalone corner showers. As they are curved, they allow for a bigger washing space and are attached to both the top and the bottom of the shower frame. Shower doors aren’t all the same because they are made of glass. There are many types of finish which have an impact on design and style. There is a variety to choose from, including clear, frosted, tinted, rained and hammered. All of these along with 8mm shower glass panels are available at Marvin and Pinch. 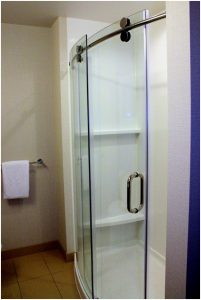 There are two types of shower doors: framed and frameless. You can read about the differences between them at https://www.showerenclosuresuk.com/blog/5-major-differences-framed-vs-frameless-shower-doors/. Framed doors are generally made of aluminium and available in a number of finishes; they come with a track which collects water and needs to be cleaned occasionally. Frameless doors have a more modern feel and are generally easier to clean and look after. They are well suited to a contemporary bathroom and help to create a sense of space.